Thinking of buying or selling? Who you work with MATTERS! David Wiesemann has likely sold or listed a property near you. 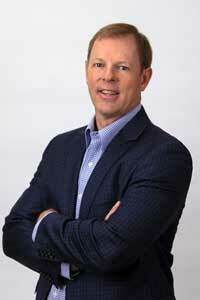 David Wiesemann is the Managing Broker at RE/MAX Heritage in Blue Springs, MO. As a specialist in home sales in Eastern Jackson County & Lafayette County, Missouri, David focuses on primarily helping sellers in the Blue Springs, Lee's Summit, Grain Valley, Independence, Oak Grove, Odessa and Bates City communities. He is dedicated to giving his clients the absolute best Real Estate experience possible, by providing his personal brand of VIP service to every client he works with. David treats his clients' Real Estate needs as his own. He works to earn his clients' trust as he walks them through each step of the Real Estate transaction. When you're needing help selling your home, he will work with you to ensure complete satisfaction. Check back here often for tips on buying and selling your home, and give David a call today at (816) 388-9363 to get started. The past decade has brought about extreme changes in Real Estate. Short sales were barely mentioned or understood a decade ago, but the housing market drop and economic downturn have caused more homeowners to consider a short sale in lieu of foreclosure. David is one of Kansas City's Certified Distressed Property Experts (CDPE) and is certified in the short sale process. He assists both buyers and sellers interested in short sale properties in Kansas City. A short sale is a long process that involves patience and paperwork. It's imperative to find a REALTOR® experienced in short sales, and preferably CDPE certified, if you expect to be involved in a short sale of a home.